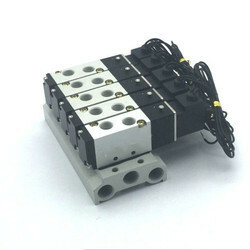 We are offering Manifold Solenoid Valve to our clients. We are involved in offering an extensive array of Suction Manifolds. Above all, we offer customized designs of our range as per the needs of the customers. Size - 1/8" , 1/4"
Our reputed entity is engaged in supplying Manifold Mounted Valve 2/2, 3/2, 5/2 Valve duly mounted on manifold. 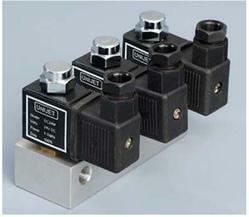 We are engaged in offering Manifold Mounted Solenoid Valve. From our wide consignment, we are engaged in supplying Gang Manifold Solenoid Valve.